Yep, you heard us right. That’s FREE (zero, nada, zilch, free dollars and free cents) SHIPPING on all orders of 3 cases or more*! Each case contains 16 of the “best tasting bars in the world”. 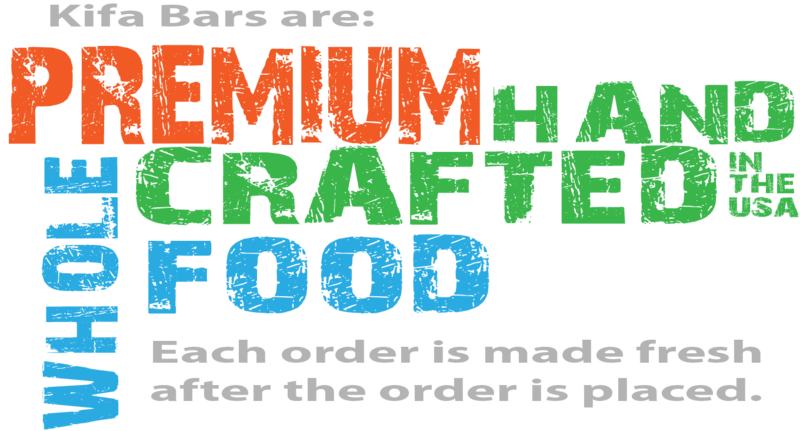 So get to it, order your bars! *All cases must be sent to the same location. One Response to "Free Shipping"
Fantastic product! I like the way the bars are designed to be thinner…that way you can pinch off a small bite and consume at a slower rate even though you want to quickly devour the whole thing…yum! I used to think Amazon had fast shipping…you guys are Amazon on steroids! Thanks for the obvious effort you put into the energy bar experience. I now believe the Kifa trademark means “Keep It Forging Ahead”. Thanks again, Guys…here’s a Texas fan who appreciates what you do!